Order in the next 9 hours 35 minutes and your package will dispatch on Friday, May 17. 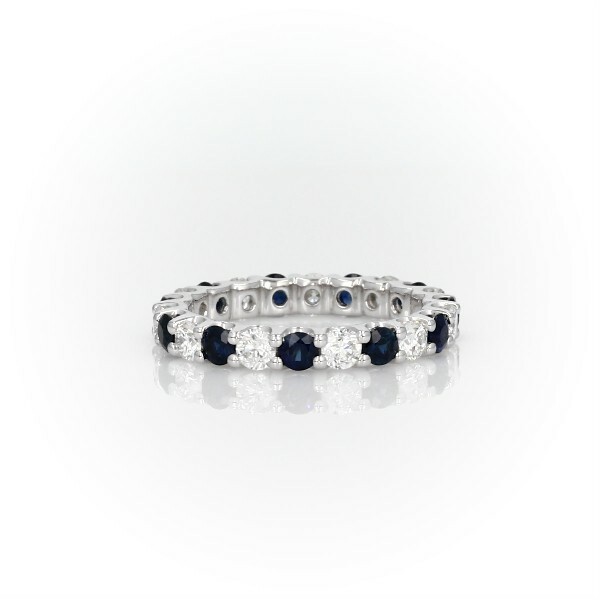 Brilliant and colour-rich, this sapphire and diamond eternity ring features round sapphires and diamonds in a shared-claw design of enduring platinum. Usually dispatches within 15 working days.